Paper Boy was an Atari arcade game complete with bicycle handlebars. 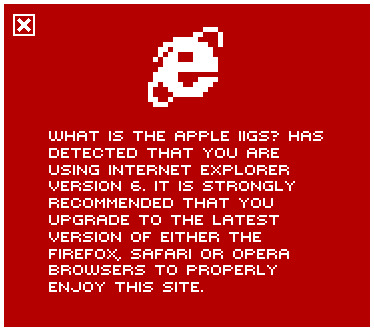 The IIGS version, released in 1988 by Mindscape, didn't come with handle bars, or many other bells and whistles for that matter. 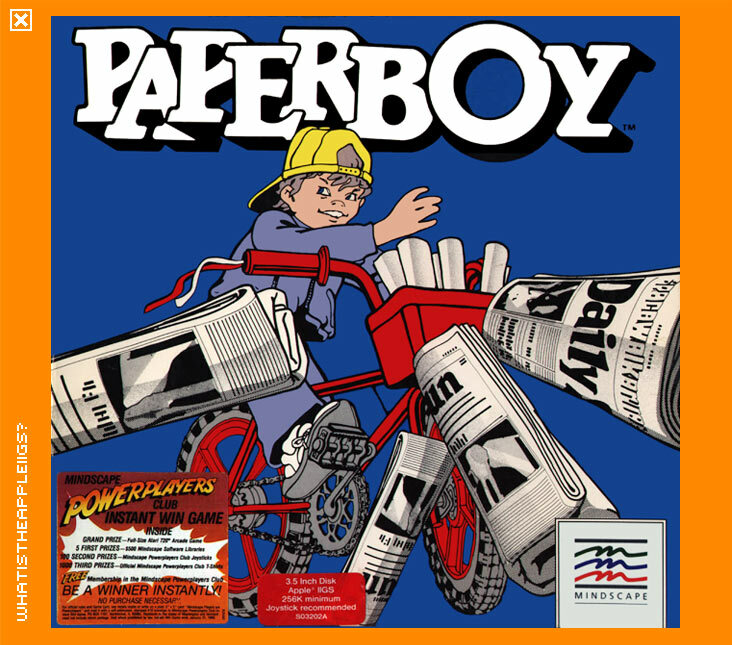 All Paper Boy involved was the paper boy delivering newspapers to customers as fast as possible, by riding a bike and throwing the papers in a direction of your residing patronage. This meant many obstacles needed to be avoided, or you'll crash your bike and lose a life. Control is enabled with the joystick if you press its button to start, or with keyboard, with the odd configuration of using the arrow keys (odd, because on the IIGS keyboard all the arrow keys are aligned horizontally making directional control a bit confusing). Open apple or return (!) is the fire button. The IIGS version required only 256k of memory to run. Why Mindscape sanctioned such a limitation as this, who could say, but it severely affected what was presented. The game was dubbed an enhanced IIe version by disgruntled gamers, and its not surprising to see why, as its graphics represent something more along the lines of 8-bit Apple II double hi-res images (they've been taken from the Commodore 64 version). Paperboy and Gauntlet, both released through Mindscape, sparked some concern among gaming consumers, who felt cheated by buying these games when they didn't do much more than resemble 8-bit games. Paper Boy's game play isn't too bad however; it's tough but fun. Regardless of its failings Paper Boy is a welcome addition to the IIGS because it didn't see too many arcade conversions.